It’s summertime and that means cocktails out on the porch! Since I don’t work in the summer I love experimenting with fresh flavors and cocktails. It’s so nice to sit out on our screened in porch in the evening and sip on a flavorful cocktail to relax after the day. 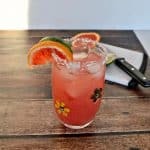 This week the Sunday Supper Movement is sharing Simple Mixed Drink recipes! One of my favorite cocktails is a margarita. 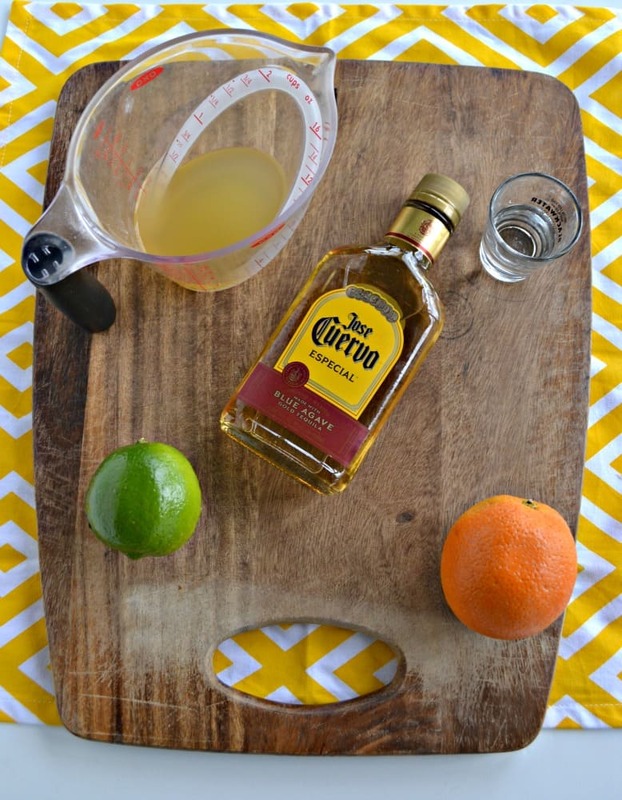 As I looked through my blog the other day I realized that I’ve made quite a few margaritas recipes but I’ve never blogged the classic margarita! How is that possible? I have no idea but I’m not sharing the classic recipe today. 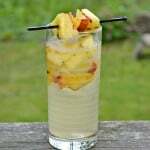 Today I’m sharing a Pineapple Margarita recipe. I don’t know what it is about pineapples but I love enjoying them whenever I can. I love the sweetness that a pineapple brings to kabobs, to a fruit salad, and to a cocktail. While the pineapple we get in our hometown is good, it’s nothing compared to the pineapple we tasted when we were in Hawaii. There is nothing quite like a fresh picked pineapple. It’s sweet, it’s juicy, it’s totally delicious. In fact, I almost had my brother ship me one when he went to Hawaii this spring! 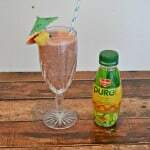 This is a pineapple margarita recipe but it doesn’t have fresh pineapple in it. It actually uses pineapple juice to get the sweetness and flavor. I think that’s probably a good choice because the sweetness of pineapple juice tones down the liquor flavor in this margarita. I also used a bit of orange juice to give it a little bit of tartness. The resulting cocktail is awesome. 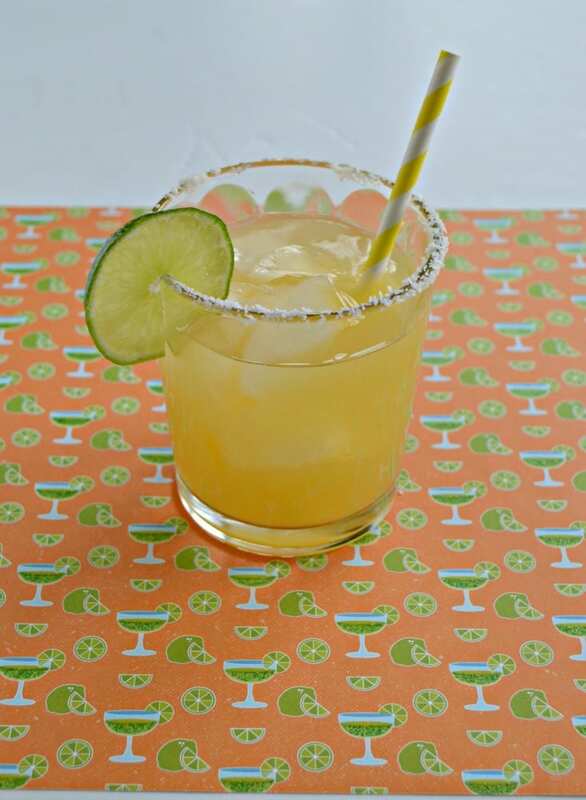 It’s a sweet and tart margarita with tropical flavors. It’s perfect for sipping in the summertime. 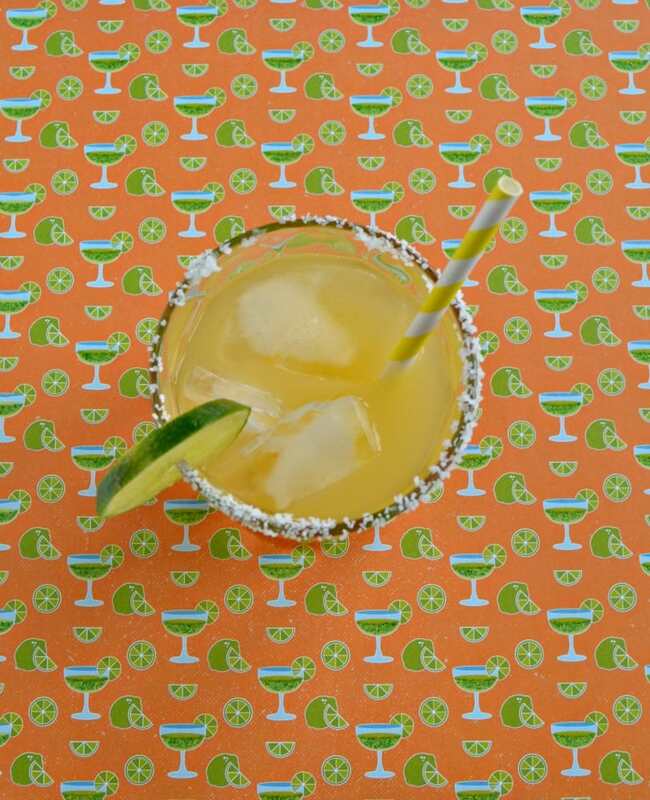 Sip on this sweet and tart Pineapple Margarita this summer! 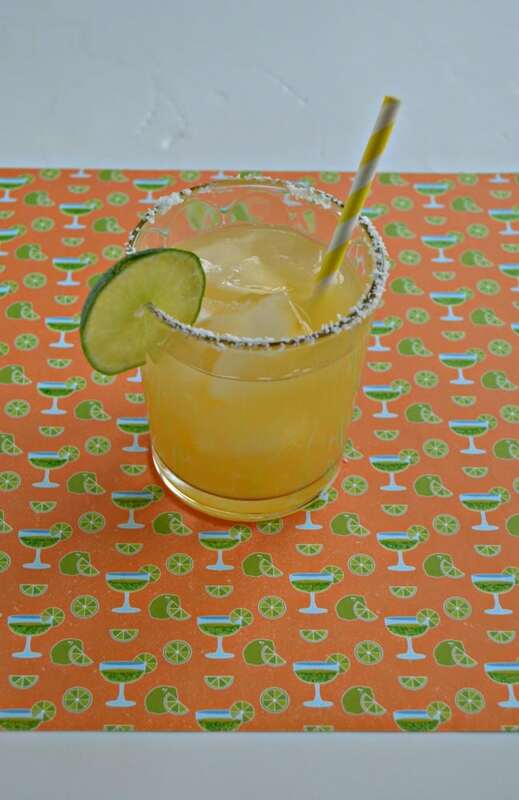 Run the rim of a glass under water and then dip the rim into margarita or coarse salt. In a cocktail shaker with ice combine all the margarita ingredients. Shake well for 30 seconds. Strain into the salted cup and garnish with a slice of lime or pineapple. Enjoy! A great one for the summer! Love the pineapple with the lime! YUM! I love the sweetness pineapple adds to a margarita! Great recipe. I love margaritas, too! And your pineapple version sounds incredible!!! I can imagine how delightful both a fresh pineapple and your screened in porch must be. These cocktails look great! I bet these taste fantastic! The sweet pineapple combined with the salt and lime. Yum! Margaritas are my favorite cocktail. I’m partial to the original, but this pineapple version sounds tasty. Margaritas are my favorite and I’ve never tried a pineapple one. Sounds like heaven! I need to try this pineapple version! I just love that all of this is real food based!! I love a good margarita! !